Identity theft can begin with the simple theft of a credit card number, malicious hacking into a device which contains personal information, or careless handling of private data that makes it easy for criminals to steal. Then there is a more unusual situation where a favor for a friend or even your sister turns into a nightmare that takes years to discover and even longer to clean up. Susan and her husband Ted (their names have been changed for this story because both hold high profile positions in a major U.S. city) had been married for over a decade when they decided to take advantage of lower interest rates to refinance their home. They both earned good salaries and always paid their bills on time. But when they began the process of obtaining a new loan, they received a nasty shock: Ted’s credit rating was really, really bad. Unbeknownst to them, someone had stolen his identity and racked up tens of thousands of dollars in unpaid bills and cancelled credit cards. There were cable TV bills in cities they had never lived in and extensive phone charges for calls they never made. Not only were they blocked from getting a new mortgage, but now they were facing serious financial problems as creditors were beginning to take more aggressive measures to recover their money from Susan and Ted. Susan obtained copies of all the bills and began the painstaking process of clearing up the financial mess. Even in today’s online world, the system still required that separate hardcopy letters be mailed to each credit reporting agency and company documenting the identity theft and disputing the erroneous charges. It was a process that took many hours of work, week by week and month by month. They first discovered the problem in 2011 and did not finally resolve all of the outstanding issues until 2014. The couple was naturally curious about who might have stolen Ted’s identity as they sorted through the complicated paper trail of unpaid debt. Both assumed that a criminal had hacked into at least one of their accounts, but they had no way of knowing for sure and the credit bureaus had no idea either. Susan noticed an address on many of the unpaid invoices that seemed vaguely familiar, but thought little of it as she worked through the laborious task of clearing her husband’s name. The companies she dealt with were cooperative (with the exception of one particular bank). After approximately two years, they had made significant progress in clearing the worst issues from Ted’s credit record. “Most of the companies were quite understanding and really good at working with us,” said Susan. Then they received a wedding invitation from Ted’s sister. The address of the wedding ceremony matched the address Susan had noticed on the cancelled credit cards and unpaid bills that were in her husband’s name. Ted’s sister had stolen his identity. Needless to say, this came as quite a shock to Ted. His sister had asked him to co-sign on a loan for a new car from the Ford Motor Company a few years ago, so he did it without thinking twice. By having her brother co-sign on the loan, Ted’s sister was now armed with his hardcopy signature and Social Security number. With just these two elements, she was able to steal his identity and create a fictitious world where she could spend freely and ruin his credit rating in the process. Ted was not particularly close to his sister and had little contact with her since co-signing the loan. There were no clues that she had stolen his identity, no hints that she was perpetrating a fraud using his name. Ted was prepared to confront her about what she had done, but another more pressing issue suddenly arose: the IRS decided that they wanted money from Susan and Ted. Just when they thought they had gotten past the worst of the credit fraud issues, the IRS issued a 1099 form that required them to pay taxes on the unpaid loan balance from the car that Ted’s sister had purchased. She had defaulted on her loan and now Ted and Susan were under fire from the government. This set off months of letters and phone calls to both Ford and the IRS as Susan worked diligently to clear up the complicated mess. Ford filed suit against Ted, and he was hauled into court to show proof that he was not responsible for the debt. By this time, the couple had amassed an extensive paper trail which thoroughly documented the identity theft by Ted’s sister. This impressed the judge. In addition, and perhaps because of Susan’s work with the company to educate them on the facts, Ford declined to send a representative to the court hearing so the charges were dismissed and the 1099 was rescinded from the couple’s tax filing in 2014. In the midst of all of this, Susan was working at home one day when her doorbell rang. It was a “repo man,” an employee of a repossession firm who had been sent by Ford to reclaim the sister’s car. Susan had to explain what was happening and showed the man a mountain of documents that explained the situation. He left empty-handed, but the experience was unnerving. Susan and Ted’s experience offers a cautionary tale about what can happen when something as innocent as co-signing on a sibling’s loan can go horribly wrong. One of the lessons both learned is that by checking their credit report on a frequent and regular basis, they would have discovered the identity theft much earlier. “We check our credit reports much more often now,” said Susan. They’re also much more vigilant about managing their credit accounts. Susan says they don’t store any credit card numbers in their computer to reduce the risk if a device gets hacked. They also deliberately choose credit cards now that offer free credit scores. A number of issuing card companies have begun providing this service to customers as identity theft continues to rise. Even if you don’t enroll in a credit card that provides free reports, you can still obtain one at no cost. According to The Wall Street Journal, the law now entitles all consumers to a free report every year from each of the three primary credit bureaus (TransUnion, Equifax and Experian). A website authorized by the federal government has been set up to facilitate this process. Susan also pointed out that many states have specific agencies or bureaus now to help consumers who suddenly run into the kinds of problems they experienced with Ted’s sister. She found her state’s consumer affairs bureau to be quite helpful as she navigated the complex process of cleaning up credit records, including providing sample letters to use when dealing with companies. The Center for Identity Management and Information Protection (CIMIP) offers a helpful resource list where consumers can find both federal and state agencies who deal with identity theft crime. Susan was amazed that Ted’s sister was able to essentially “fly under the radar” by using her husband’s name fraudulently while directing all billing to a wholly different address. She said that during the whole process of cleaning up the fraud, she asked many of the companies how this could happen. “I never got a satisfactory explanation about that,” said Susan. This makes it all the more important to periodically re-verify the correct address with the post office and financial institutions attached to various accounts. Shredding is another important tool and Susan and Ted have become more sensitive about what they place in their trash. Mindful that all of their misery began with just Ted’s signature and his Social Security number, the couple regularly shreds any documents that could contain one or both of these pieces of information. Fraud alerts and credit freezes are other ways to guard against identity theft, although both require some work and can complicate or delay the process if you decide to seek a loan. 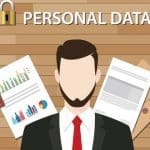 Identity theft protection companies will work with their customers to place fraud alerts on the files associated with the three primary credit bureaus. It’s like an extra level of scrutiny by banks or credit agencies before granting credit. More effective than alerts are actual credit freezes. They prevent a company from accessing your files unless you already have a business relationship with them. Unfreezing your records requires direct contact with the credit bureaus and can take as long as three days, which could be an issue if you need credit or a loan quickly. Identity theft can occur from strangers or from within your own family. Read about a man who was taken advantage of by his own sister.